In our participative murder mysteries, some or all of you will have your own characters to play. Rather than being an anonymous observer, you will be part of the action. You will know things other characters may not. You may even be the murderer! Watching a first class murder mystery is a great way to spend time. Imagine how much more enjoyable it can be if you are actually part of it. A long lost son returning to claim his inheritance. A daughter who is marrying a wrong-‘un to spite her father. A wannabe celebrity who will stop at nothing to advance her career. A war hero who isn’t as brave as he seems… With many plots to choose from in a wide range of periods and settings, we have an amazing variety of characters for guests to play. For a complete list of all our plots plus information about how many people they are for and if they are Participative or Watch The Action, please go here. What if I don’t want to join in? People are sometimes wary of audience participation. We understand that. 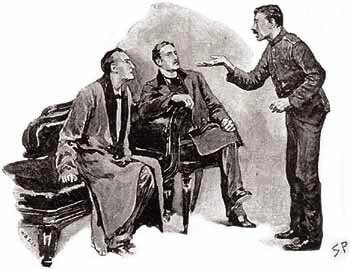 In our participative whodunits, just because we give you a character doesn’t mean you have to do anything much with it. You can, if you want, spend all night watching everyone else play their characters. You can, if you want, eat, drink, make small talk and ignore everything else that’s going on. But our plots are written in such a way that even people who are known for never joining in usually surprise everyone by how much they do so. We give them things to do that won’t embarrass them, won’t bore them, will catch their interest and relax them into to letting go of their usual inhibitions. And they’ll feel great about it afterwards! And, if you really, really, really don’t want to do a murder mystery which depends on your participation, we have other ways of running them. Our Watch The Action plots allow you to sit back, watch, be entertained and never take part. As children, most of us enjoy playing “Make Believe” games. We like pretending to be someone else. We create imaginary adventures for ourselves and our friends. As adults, the pleasure to be got from doing this doesn’t fade. It’s just we rarely get the chance. Our participative murder mysteries provide that chance. And the enthusiasm with which guest throw themselves into them shows how strong that love of “Make Believe” remains in us. No matter how old or sensible or grown up or serious we seem. For 6 to 50 people. In these, everyone has a character to play and one of you will be the murderer. Playing a character doesn’t require any great acting skills and the characters are written so that even people who are naturally quite shy will still have a great time. These interactive murder mysteries give everyone a very good reason to talk to everyone else. For team building and lively social gatherings, they are the best choice of all. Please go here for more information. For 40 to 250 people. These plots always include a few guest characters. Those who aren’t assigned a character are still treated as if they are part of the mystery’s theme – members of the aristocracy in High Society, 1970s rock legends in The GRIT Awards, guests at a wedding in Shotgun Wedding, and so on. People are in teams and, as well as having actor characters to question, have clues and information to trade with other teams, so everyone mixes freely. Some plots are run over a meal, some can be run without one. Some can have ingredients added to make them even more effective as team building events. And many have themes which lend themselves particularly well to fancy dress. For a list and descriptions of all our plots, please go here.